This year NZNO is hosting the very first Young nurse of the year award, so if you know a nurse aged under 30 who has gone the extra mile, or demonstrates exceptional commitment to the profession and to their patients, then get your nomination in now. Nominations close on 1 August and the awards ceremony will be held at the NZNO AGM and conference in September. The winner will receive a fantastic prize package including cash, a cash contribution toward education or professional development, a trophy and certificate, and travel and accommodation to attend the special awards dinner in Wellington. This prestigious award will acknowledge the hard work and commitment of one young nurse, but behind the award is NZNO’s desire to publically support all young nurses and help keep them in the profession and in New Zealand. The idea of the Young nurse of the year award is the brainchild of a project team made up of nurses aged under 30 (and supporting NZNO staff) who were tasked with identifying ways NZNO could support younger nurses in the workplace. Along with a website, Facebook page and blog the group identified that an award would give their peers and colleagues a way to recognise the contribution young nurses make to their profession, patients and workplace. Significant planning has gone into the awards with the project group developing a project plan, seeking sponsorship, and developing nomination forms, assessment criteria and establishing a judging panel. We hope everyone will get behind the initiative and show their support for the Young nurse of the year award. It’s just one way we can make sure our future nursing workforce is skilled, valued and sustainable. Tags: award, young nurses | Permalink. Hi Marisa, there is. 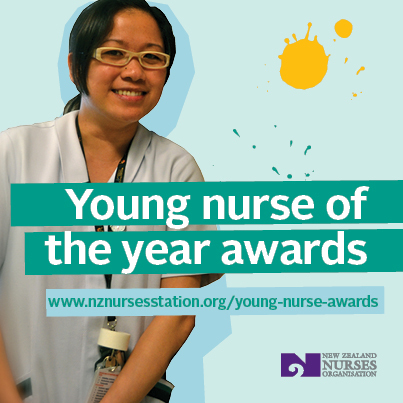 You can download it from here http://www.nznursesstation.org/young-nurse-awards or email emmah@nzno.org.nz to get one sent to you.